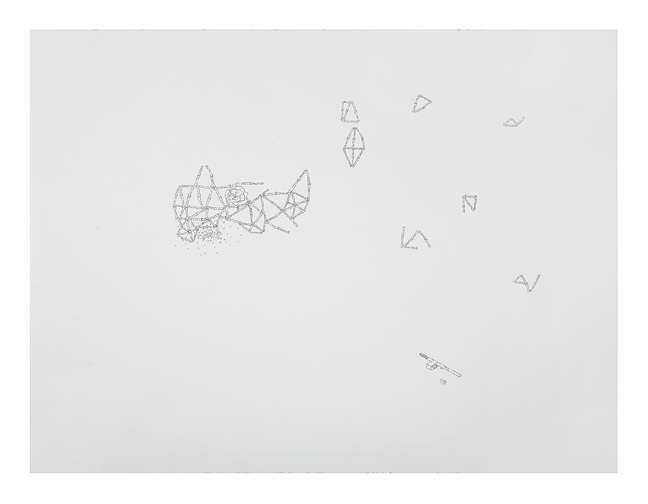 SEASON IS PROUD TO PRESENT THE SKY WILL OPEN UP WITH CERAMIC WORKS BY LUKE ARMITSTEAD AND DRAWINGS BY SEAN PEARSON. In lieu of an opening reception, we will host a holiday party in December, you are invited. THE show will continue to January 12. 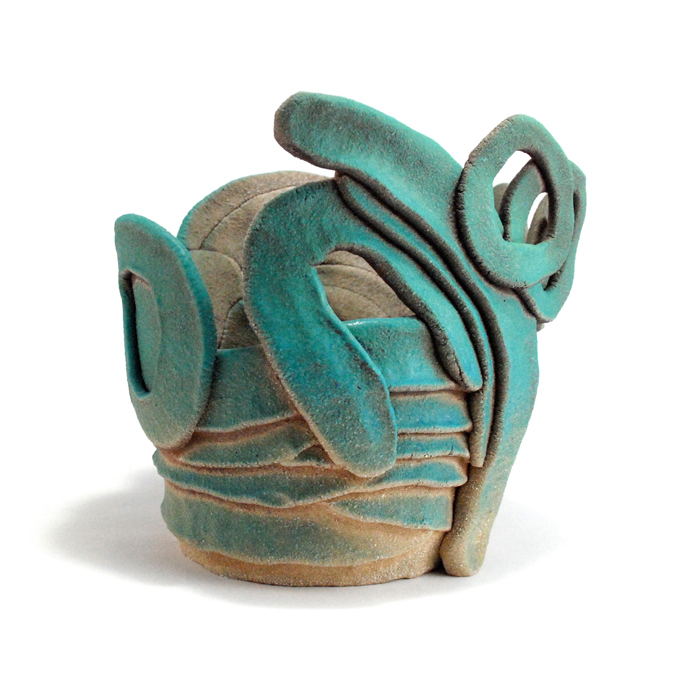 Luke Armitstead is a ceramic sculptor living in Seattle. His work is a celebration of the possibilities that can be achieved for sculptural and utilitarian objects in clay. Luke’s work takes inspiration from both architecture and organic forms and references the idea that art can interact with and be derived from a particular place. Luke received his BFA from the School of the Art Institute of Chicago and his Post Baccalaureate from the University of Wisconsin, Madison. He has shown in Seattle, Chicago, Brooklyn and London. This is Luke’s first show at SEASON. Sean Pearson is a Seattle artist working in dystopic drawings and sculptures. 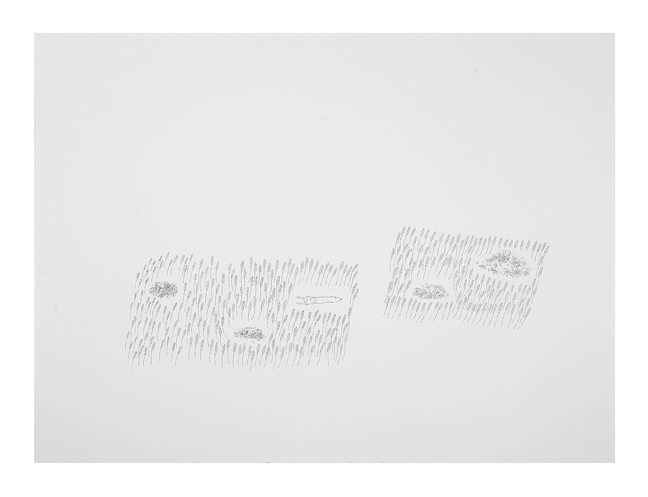 A constant theme in his work is alienation from an obvious peer group and a reluctant acceptance into an Other and how this acceptance can happen naturally, slowly and without recognition. Sean graduated from Ringling College of Art and Design, Sarasota, Florida, with additional studies through the Association of Independent Colleges of Art and Design, New York, New York. His work has been shown in Seattle, Brooklyn and Los Angeles, and written about in Animal New York and Art F City. This is Sean’s first show at SEASON. 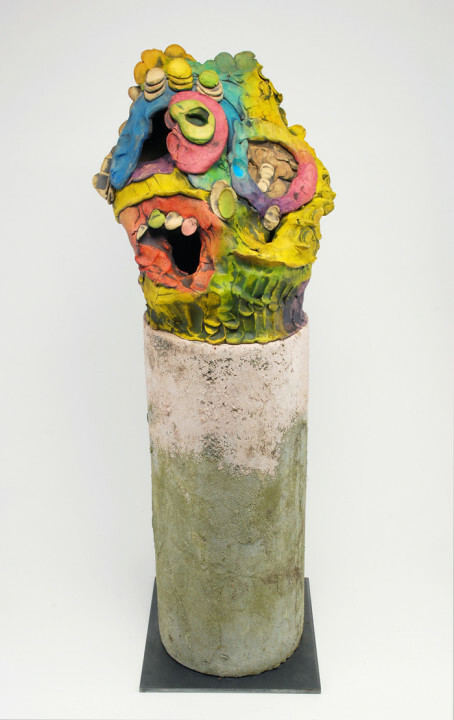 Luke Armitstead, Rainbow Head, 2017, glazed and painted earthenware on concert and metal base, 20 x 7 x 7 inches. Luke Armitstead, Blue Wave Basket, 2016, glazed earthenware, 8 inches diameter. 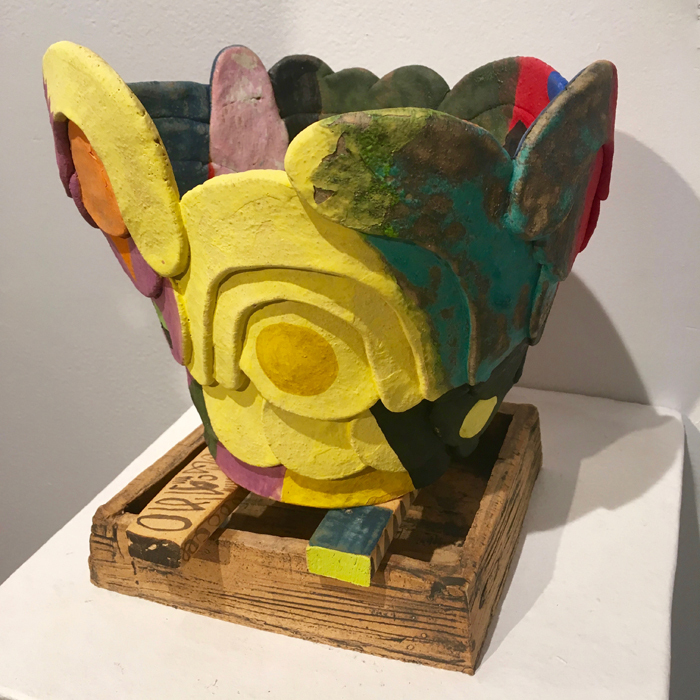 Luke Armitstead, Rainbow Bowl, glazed and painted earthenware on earthenware base, 11 inches diameter. 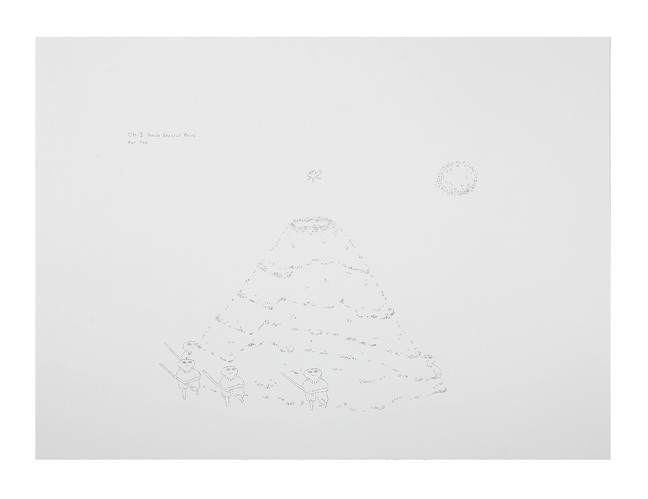 Sean Pearson, Oh, I Have Special Plans For You, 2017, permanent ink on paper, 22 x 30 inches. Sean Pearson, Anyway, Things Aren’t What They Use To Be, 2017, permanent ink on paper, 22 x 30 inches. Sean Pearson, Searchlights Detect My Ghost, 2017, permanent ink on paper, 22 x 30 inches. 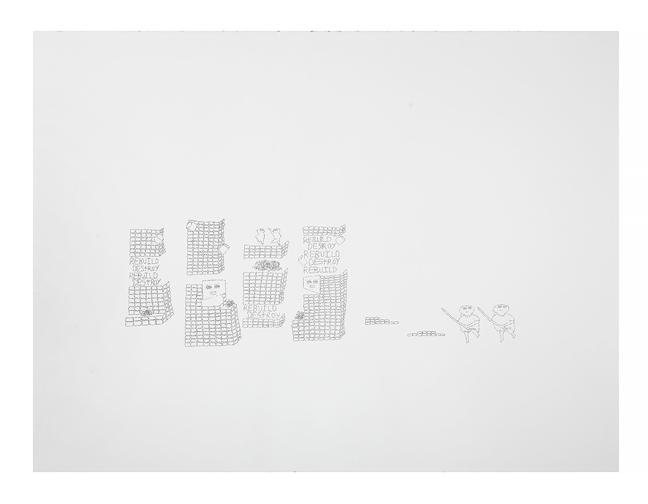 Sean Pearson, Anyway, So Dynamite It Was, 2017, permanent ink on paper, 22 x 30 inches. 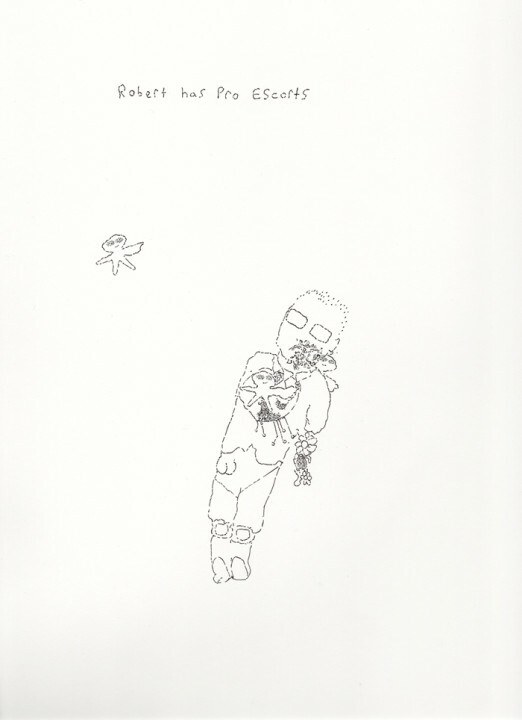 Sean Pearson, I Used To Be Somebody, 2017, permanent ink on paper, 17 x 11 inches. Sean Pearson, Robert Has Pro Escorts, 2017, permanent ink on paper, 17 x 11 inches. 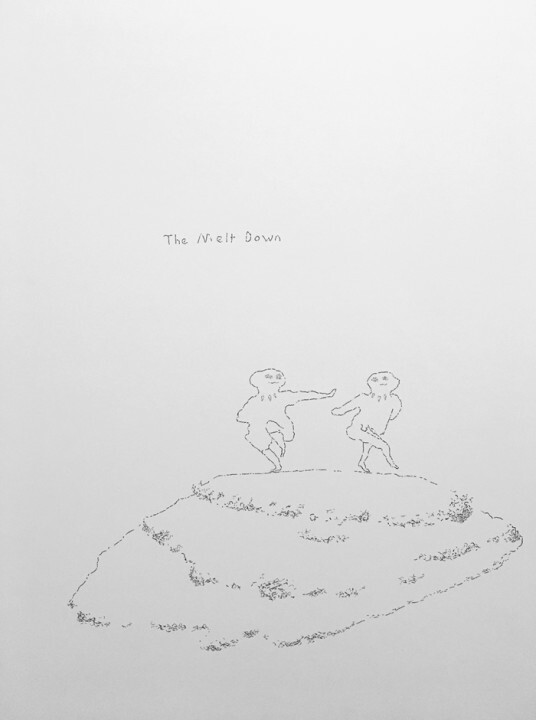 Sean Pearson, The Meltdown, 2017, permanent ink on paper, 17 x 11 inches.